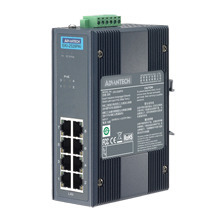 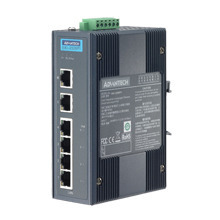 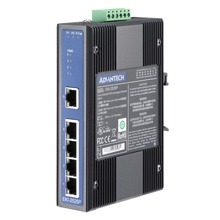 Advantech's PoE (Power over Ethernet) solutions provide up to 15.4 watts of power per-port, and can be used to power IEEE802.3af compliant devices (PD) through an Ethernet cable eliminating the need for additional wiring. 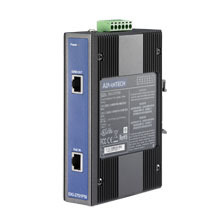 Advantech EKI PoE devices come with compact metal housing that rates IP30 to help against from dusty industrial environments. 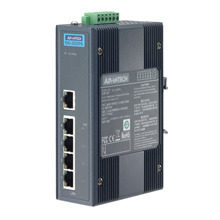 All of these products help realize centralized power supplies for automation applications. 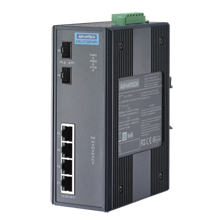 For cost saving and the flexibility of using PoE power provision, half of the 10/100Mbps TP ports of the FSD-804PS provide PoE power injector function which is able to drive 4 IEEE 802.3af compliant powered devices. 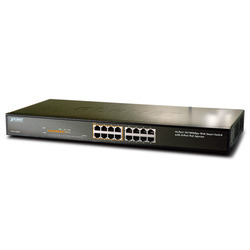 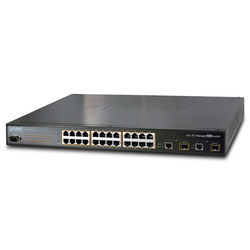 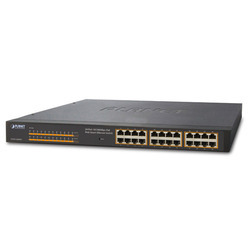 For SOHO or department network, the switch also provides a simple, cost-effective, and highly reliable network connection for data as well as power. 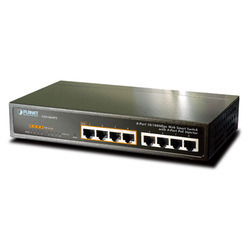 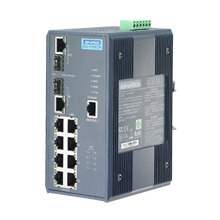 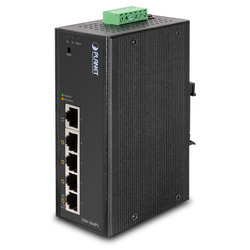 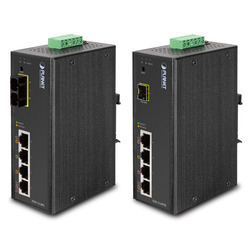 Furthermore, it is the ideal device for bridging among Ethernet, Fast Ethernet workgroups and networks.